C & B Wichita is the preferred choice for both industrial and medical vacuum applications that require either a rotary vane or liquid ring vacuum pump. We offer either the Busch, Elmo Rietschle, and Powerex product lines for both pump designs, as well as Powerex for the rotary vane design. All three manufacturers provide a quality product that can be utilized as individual components or as a complete system package. Rotary vane vacuum pumps are a reliable and compact design, commonly used for food packaging and medical applications. 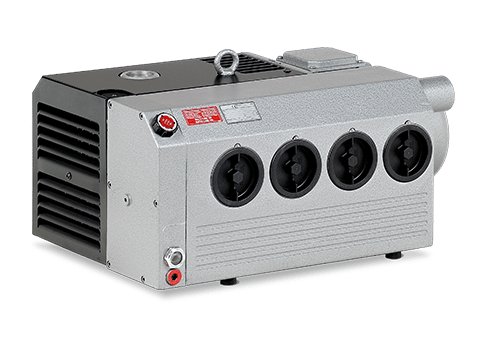 The liquid ring vacuum pumps are the proven technology for the most difficult applications where the inlet air stream contains highly saturated vapors or particles. Liquid ring pumps typically utilize water or oil as the sealing media and are of a low maintenance design. Factory engineered systems can be designed by any of manufacturers we represent, including systems built to NFPA 99 standards.